ahhhh...back to school. i love the routines and the academic challenges of it all. what i don't love is touching cold turkey at 6:00 in the morning. school lunches are not my favorite thing to prepare so i have assigned that task to my children. i figure at 12, 9 and 8 they are plenty big enough to make their own lunches. now that i have a five year old heading to kindergarten, i figure he is going to have to learn how to stand on his own as well. i'm trying to teach them responsibility and the more jobs i assign to them, the more they appreciate me. i'll take that and the satisfaction of knowing they will at least be able to feed themselves something when they leave my house one day. 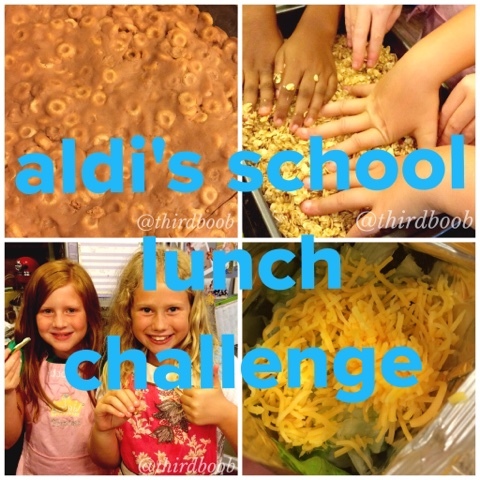 recently we were given a challenge by ALDI to come up with and prepare at least two school lunches using $50.00 in ALDI groceries. well, we decided we could certainly do better than that! 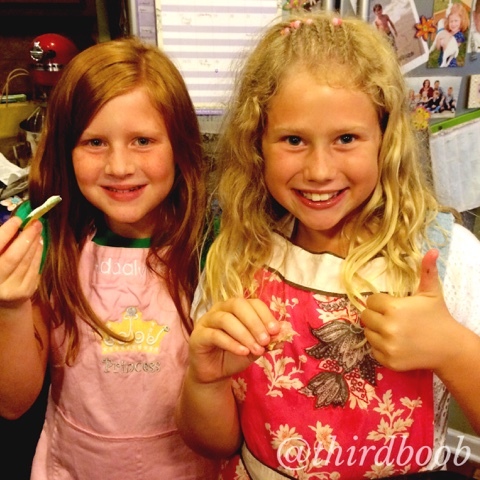 we decided to find and create lunches that our own kiddos could make for themselves. over the next week we will share with you what our kids created and hopefully give you some ideas of things you can make with your own kids for lunches this year. i am relatively new to the south. i was born and raised in california so all things southern and east coast related have taken me some time to get used to. when i first arrived, i noticed a different grocery store in the area. i knew nothing about it and avoided it initially. it was new and foreign to me and, frankly, in the first couple of years of being here, i was overwhelmed with new and different. had i only known what was inside that store, i would have branched out sooner! 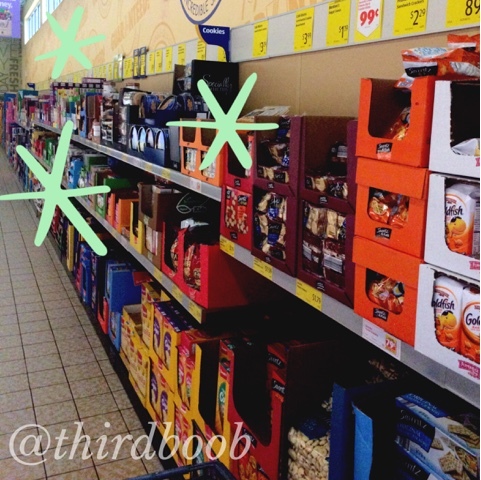 as my friends and i began talking about our grocery shopping, the name ALDI came up over and over again. finally i decided to give it a try. i made some mistakes at first but now i am a pro. and the prices? 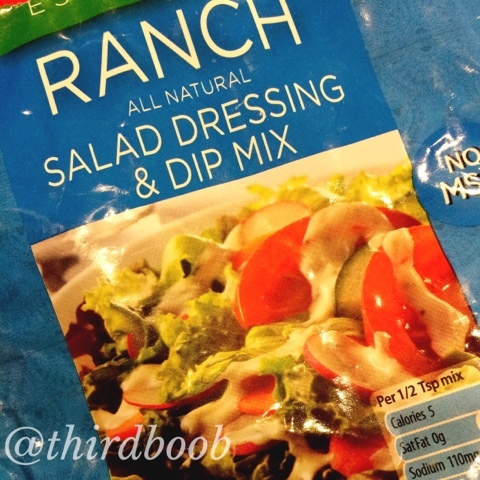 they are so much cheaper than any other store i have found that i always shop there first for nearly everything my family needs for our meals on a weekly basis. there are many blog posts on the why behind aldi's cheap prices so i won't go into those here but i will say, it is worth the trip! i'm saving tons of money each month and i am still able to feed my family amazingly well. 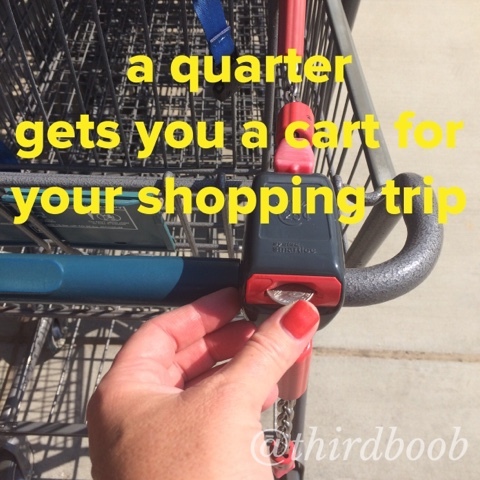 if you are a first timer to ALDI, here is what you need to know. 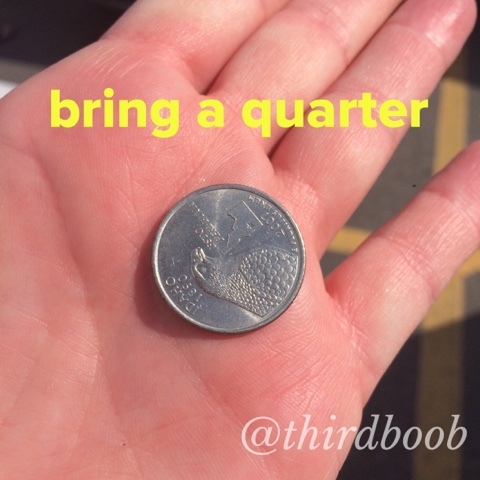 i didn't bring a quarter my first trip. that was a mistake! 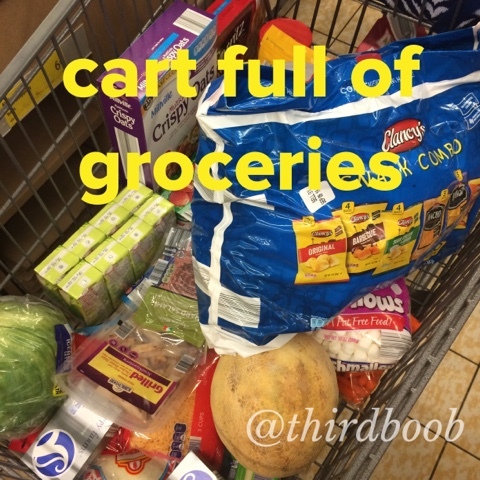 you will want a shopping cart full of groceries for your trip. trust me. 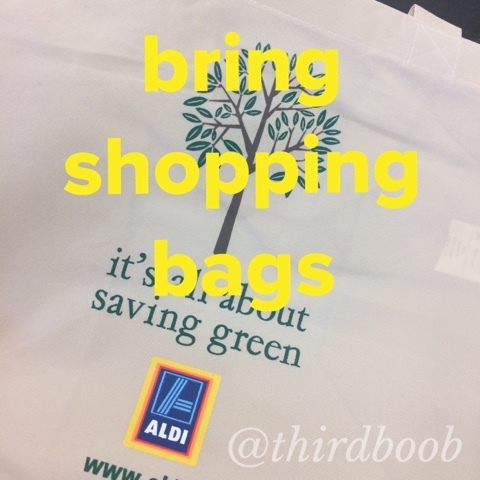 you will bag your own groceries at ALDI. it's just one way they are able to charge you less money during your trip. bring a lot of bags. you'll want to buy a lot of stuff. everything is presented in boxes. these keeps prices down as well as people aren't continually stocking shelves. everything is easy to find and well labeled. you will love it. 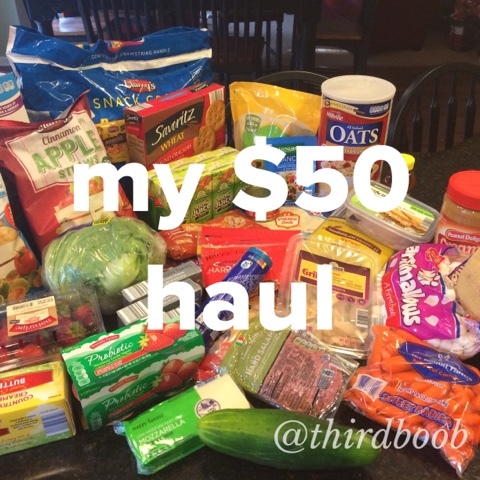 armed with $50.00, this is the grocery cart full of products i was able to purchase at ALDI. it is a ton of products and there is no way i would have been able to get all the items i needed for all the school lunches at any other grocery store. 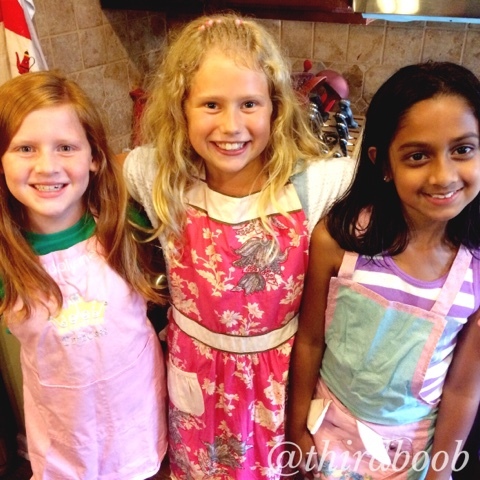 i had some fabulous helpers to make these lunches. my daughter (the redhead) and her two close friends came over for the afternoon and we knocked everything out in no time. normally these lunches would be made on a day to day basis but there is something to be said about doing some sunday afternoon/evening prep for the week to come. 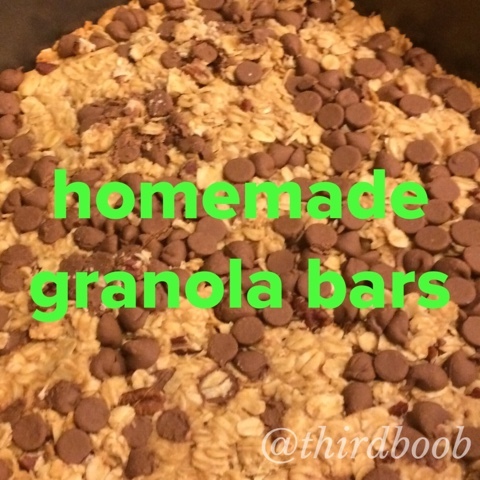 with very little work we were able to make some homemade granola bars and peanut butterscotch o's for snacks as well as get the school lunches prepared. each lunch took no time at all and if we had done any preparation ahead of time, these would have been a breeze for my kids to tackle on their own. 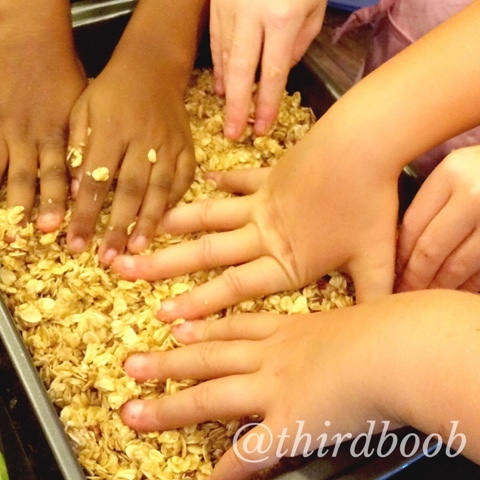 before we got started building our lunches, we made some snack foods that will last us the whole week through. not only are these recipes delicious but they are super easy to make and will last for both a snack during school and one when they get home. 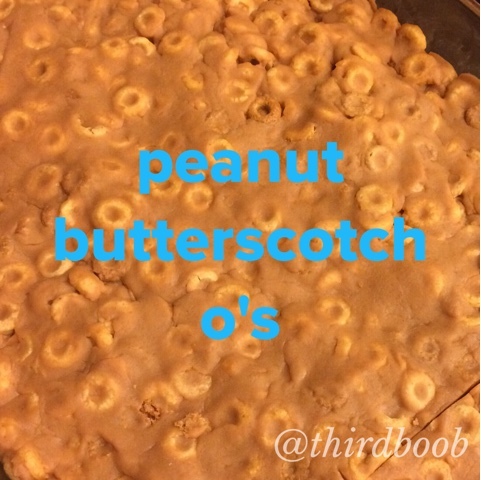 the two recipes we started our prep with are peanut-butterscotch o's and homemade granola bars. we purchased all our ingredients at ALDI and made whole trays full. the girls were super excited about eating their way through these bits of deliciousness! yep, the girls made all of these too. good thing they washed their hands first! now that the snacks for the week were completed, the girls moved on to their lunches for day one. to begin the girls whipped 8 oz. of cream cheese with a hand mixer. once that was mixed and softened, they melted one bag of marshmallows over the stove (this step may require minimal supervision). once the marshmallows are melted, add them to the whipped cream cheese mixture and mix again with a hand mixer. cover and refrigerate until ready to serve. 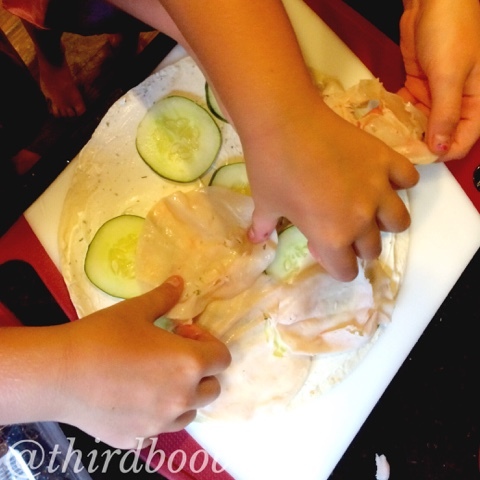 have the kids slice the 1/2 cucumber into thin slices. once finished, they can also cut the stems off of the strawberries. 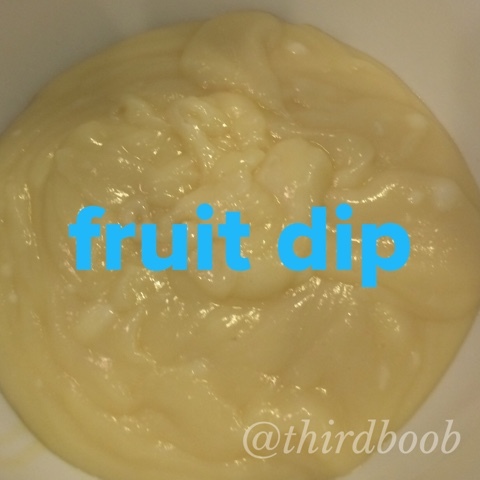 in another bowl, have them mix 8 oz. 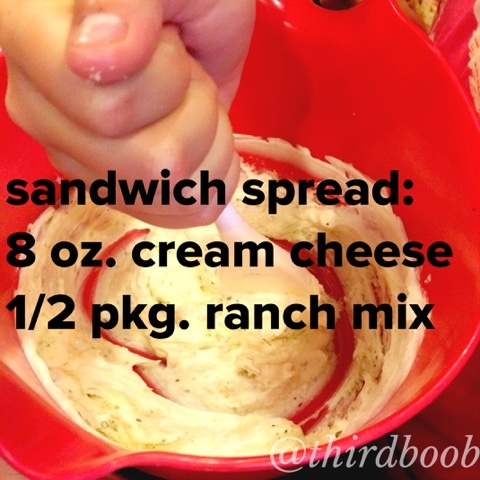 of softened cream cheese with 1/2 package of ranch dressing mix. lay out three tortillas. 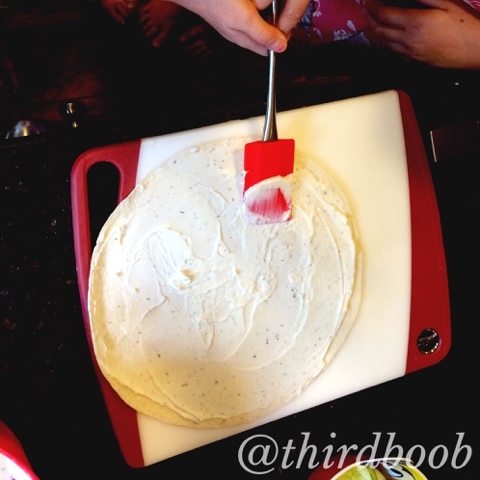 spread the cream cheese mixture over the tortillas in a thin coat. 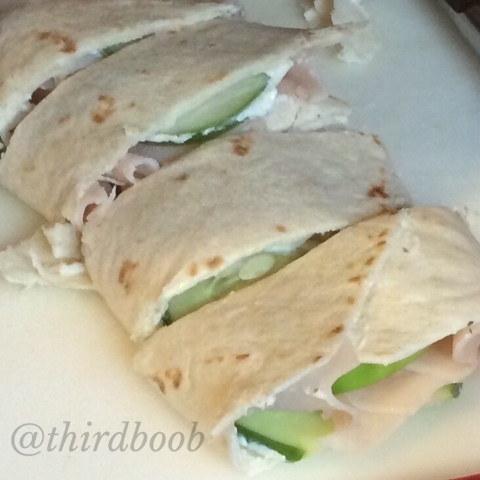 layer with cucumbers and sliced oven roasted turkey. 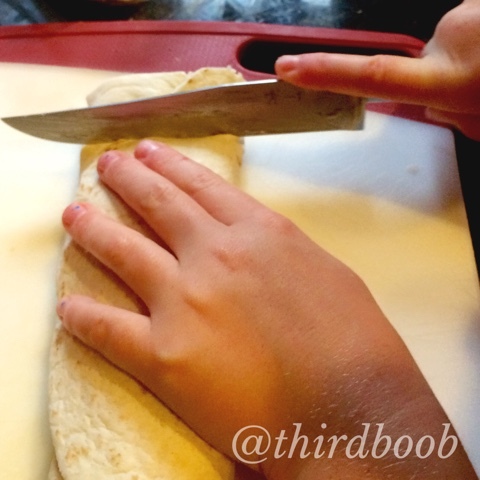 roll the tortillas up into a tight ring (the kids didn't really care what their rolls looked like so i didn't stress about it either). slice into one inch slices and place one sliced wrap in each lunch box. 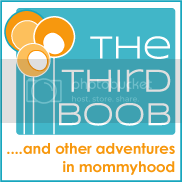 if you have more than one child to feed, this is great for feeding three. 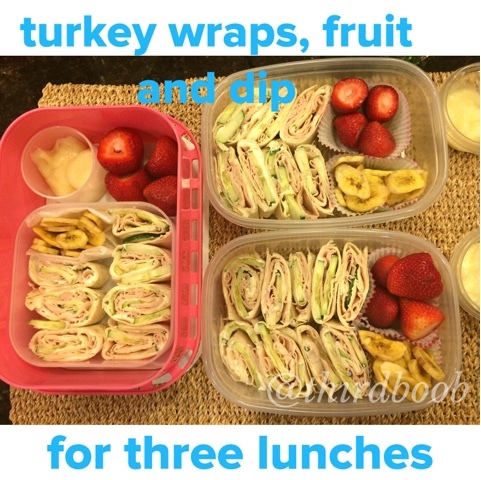 if not, these wraps can be made for three different days in a week. 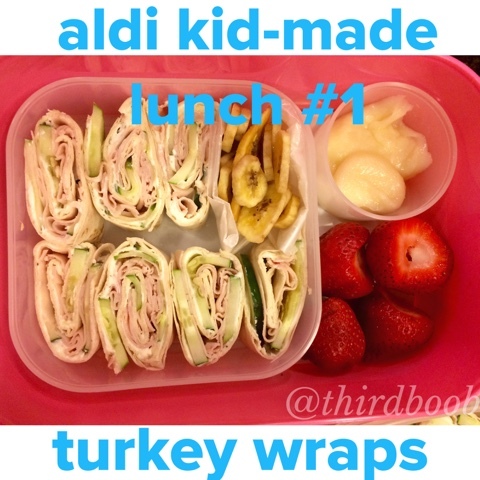 this was the girls' absolute favorite lunch and my five year old ate an entire wrap all on his own. they really are absolutely delicious and so easy to make. this post was sponsored by ALDI. the opinions and statements are all our own. these products are available while supplies last. all products may not be available in all stores.